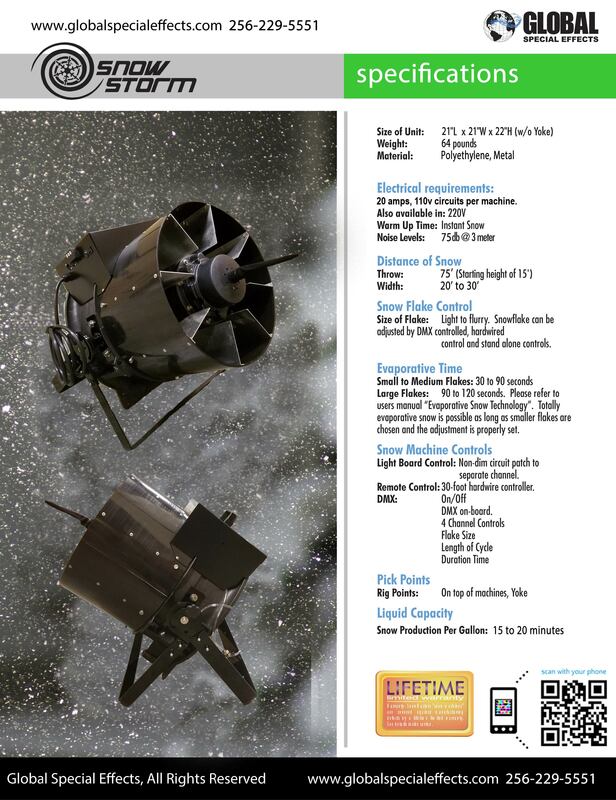 A radical new eevaporative snow machine that can be used at ground level as well as hung from a truss. This product offers the driest snow on the market. The T-1500 can send snow in the air up to 50 feet. 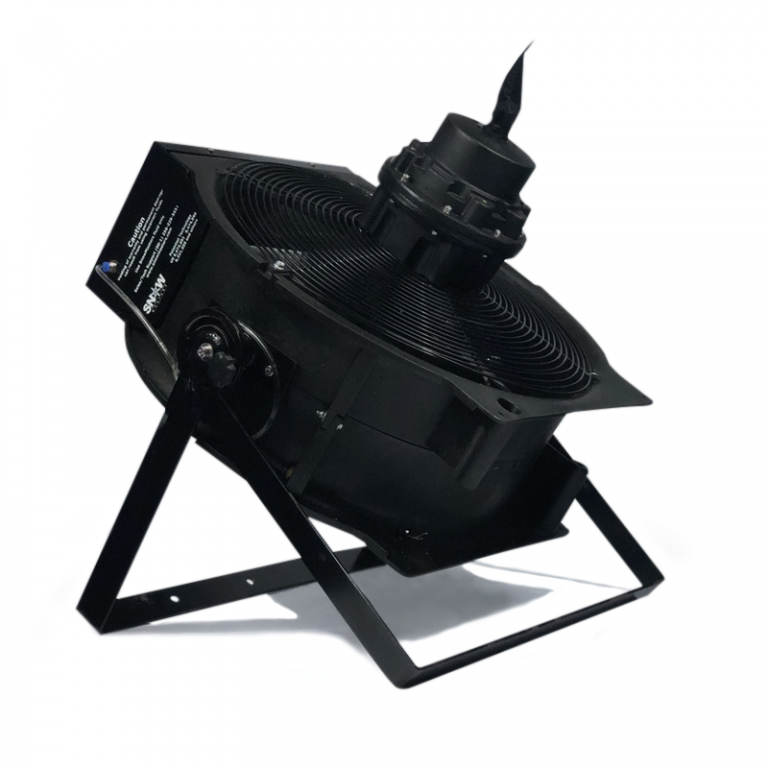 Known as the Snow Zone, it integrates with a high output fan in a swivel case, supported by a strong, bracketed frame. It requires a 20 amp. 110v or 220v circuit. (See Specs for area of coverage). *Lifetime Limited Warranty is only valid when using fluids from Global Special Effects. 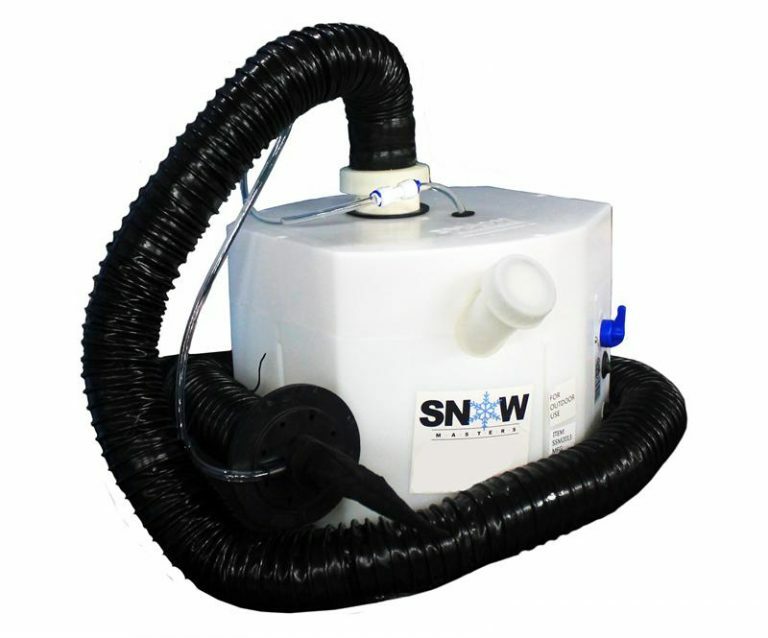 An evaporative snow machine that can be used at ground level the Snow Storm is our highest output machine! This product offers the driest snow on the market. The Snow Storm can send snow in the air up to 75 feet. 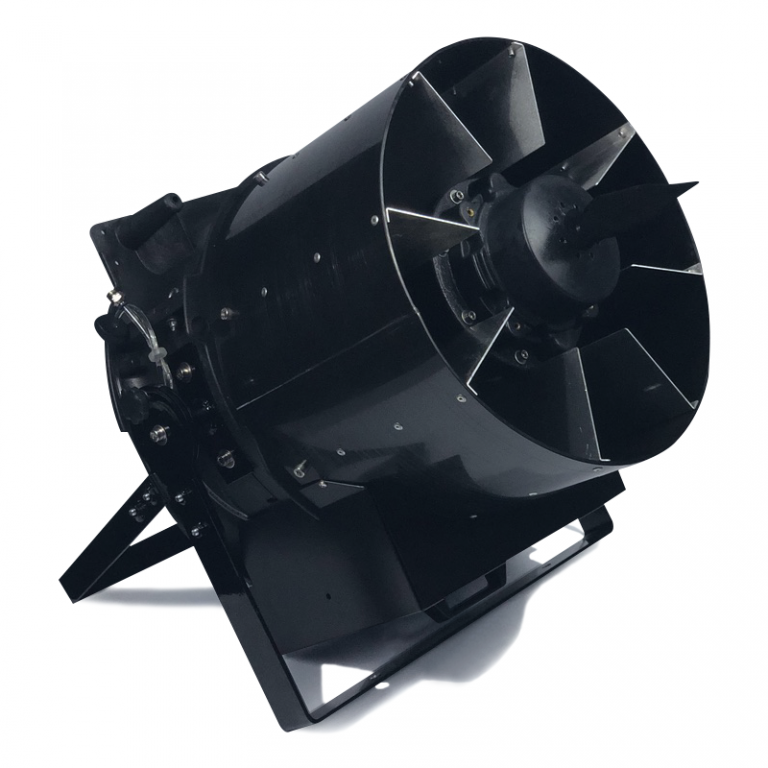 A radical new evaporative snow machine that can be used at ground level as well as hung from a truss. This product offers the driest snow on the market. The T-1500 can send snow in the air up to 50 feet. 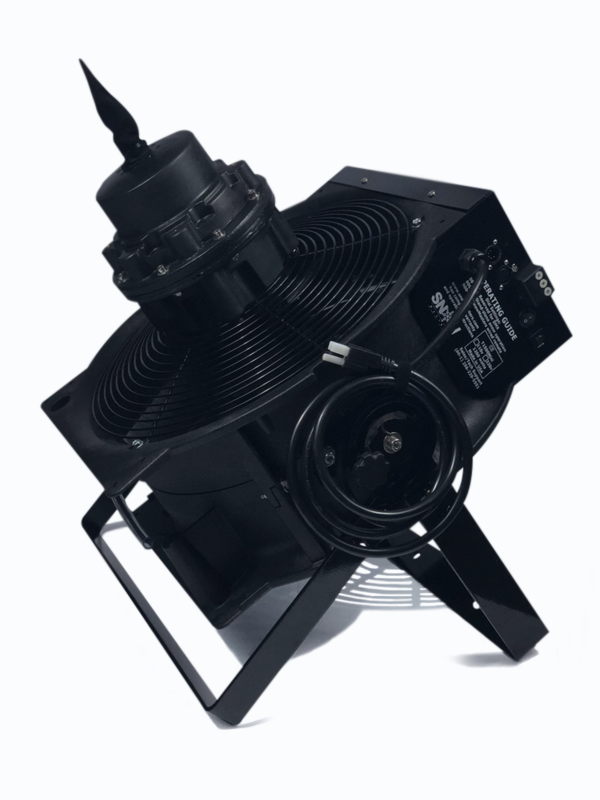 Known as the Snow Zone, it integrates with a high output fan in a swivel case, supported by a strong, bracketed frame. It requires a 20 amp. 110v or 220v circuit. (See Specs for area of coverage). This is the slickest streamlined snow machine in the world. Designed for stage, movies and performances where small makes the difference. It is rated at 74 db @ 3 meters. DMX on-board with duty cycle timer (5 and 15 min repeat cycle timer) stand alone settings. The T-1100 can be ordered in any color (additional fees may apply) Standard color is black. This is one of the quietest snow machines in the world. 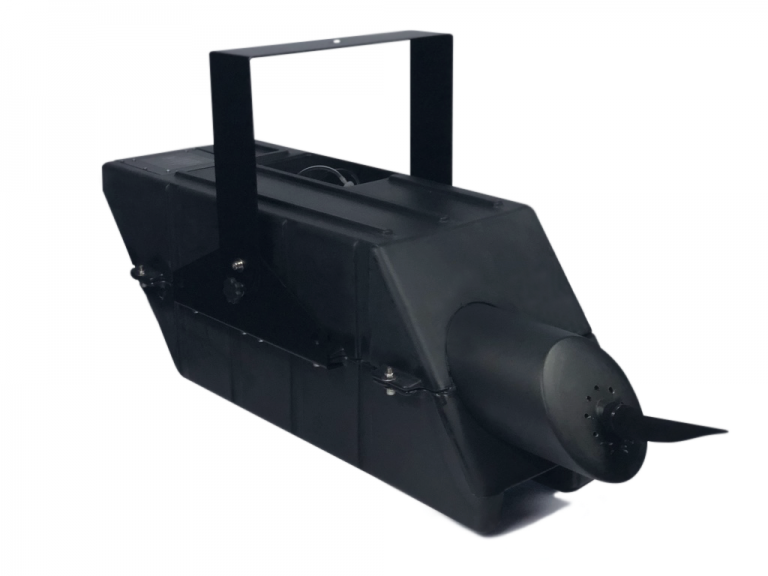 Designed for stage, movies, and performances where noise makes the difference, the T-1600 has a rating of 68 db @ 3 meters. DMX on-board with duty cycle timer (5 and 15 min repeat cycle timer) stand alone settings. The T-1600 can be ordered in any color (additional fees may apply). Standard color is black. 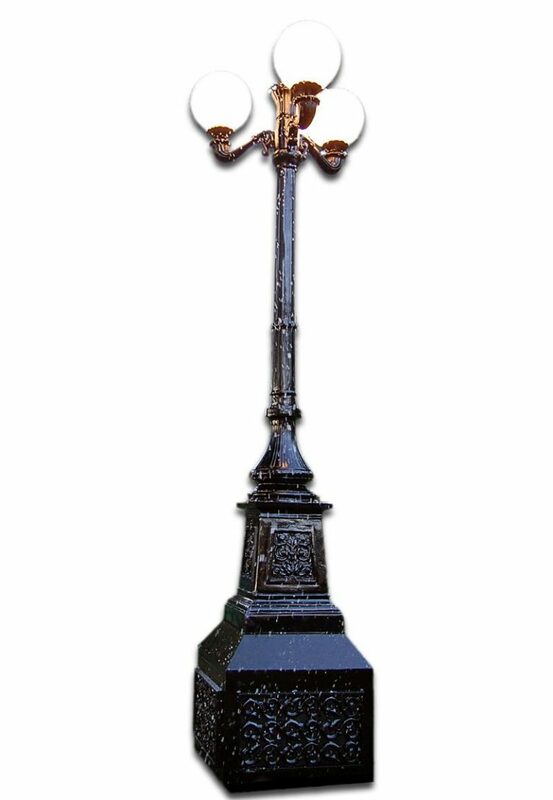 The all new, all-in-one Magic Lamp is a highly durable eleven and a half foot tall street lamp that generates Global Special Effects’ Evaporative Snow. It is a professional-grade, cast aluminum street lamp constructed here at our Lexington, Alabama facility. The Magic lamp is equipped with 3 light globes and 3 Evaporative Snow nozzles. 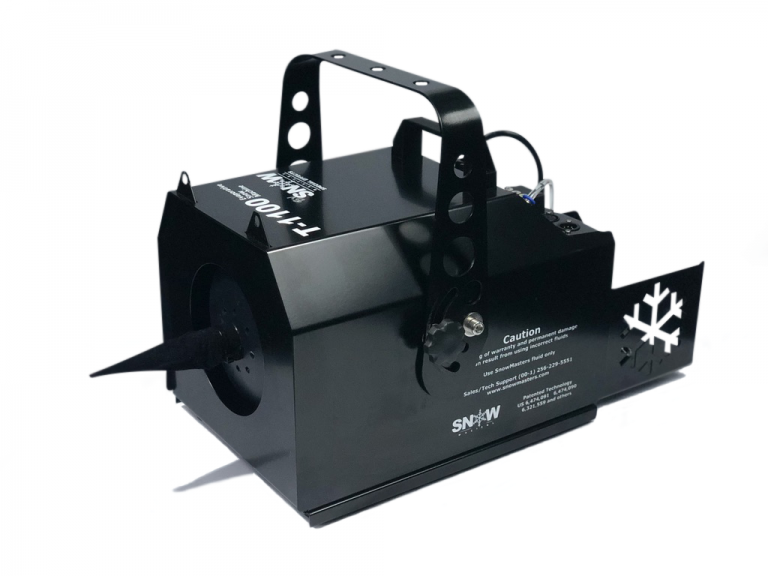 Snow Machine ( Consumer Model): Great for creating a realistic snow effect for your holiday display. A barebones snow machine that will allow you to create your own snow effect. *1 year Limited Warranty is only valid when using fluids from Global Special Effects.